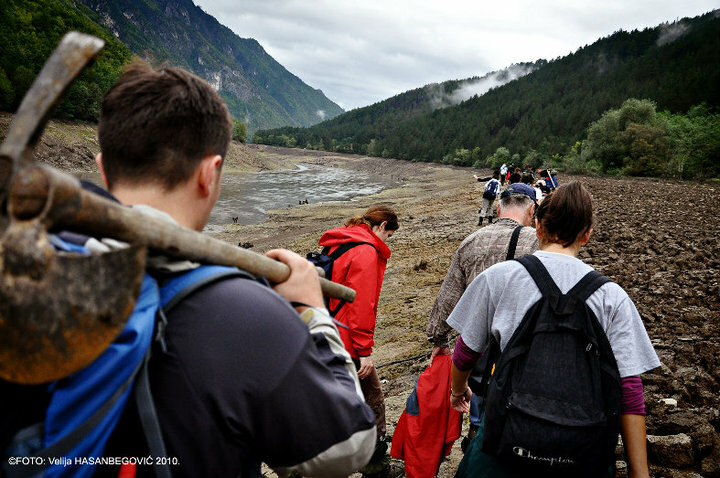 On 19.09.2010 a large group of volunteers arrived to Perucac lake to help in digging the ground in search of genocide victims from Visegrad. 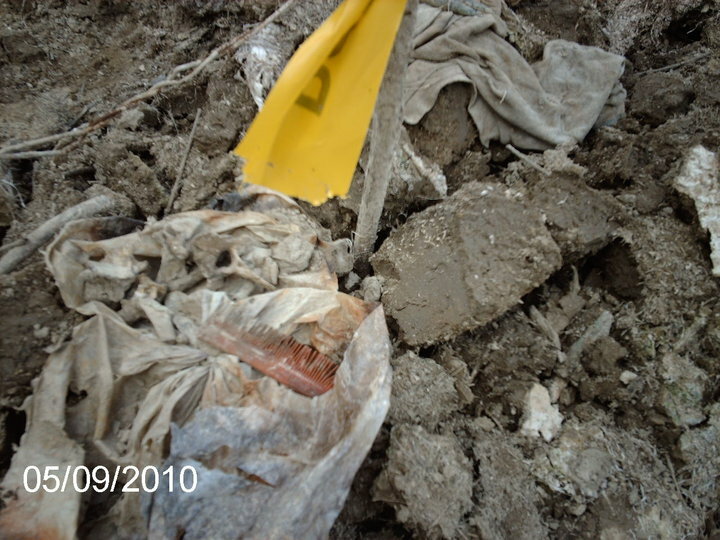 They worked in front of a restaurant – a popular tourist site – where a large number of bones were found. 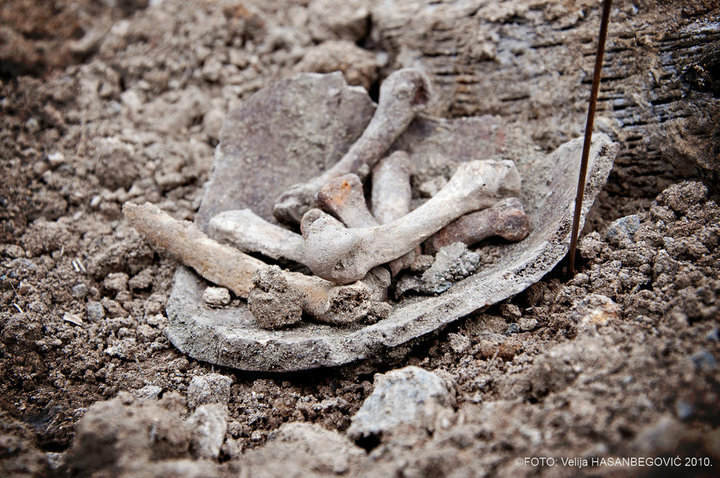 Most skeletons found in Perucac are incomplete because the bodies decomposed in the Drina River – shattering remains of one body on a large area. Many victims of the Visegrad Genocide will never be found but during this action at least some families will find their loved ones. 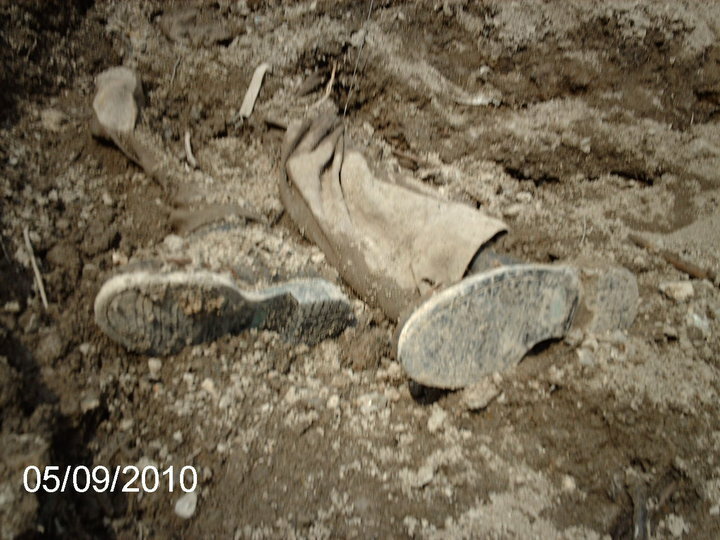 Exhumations and the search for victims remains will continue for the next couple of days until the Perucac lake is refilled totally. 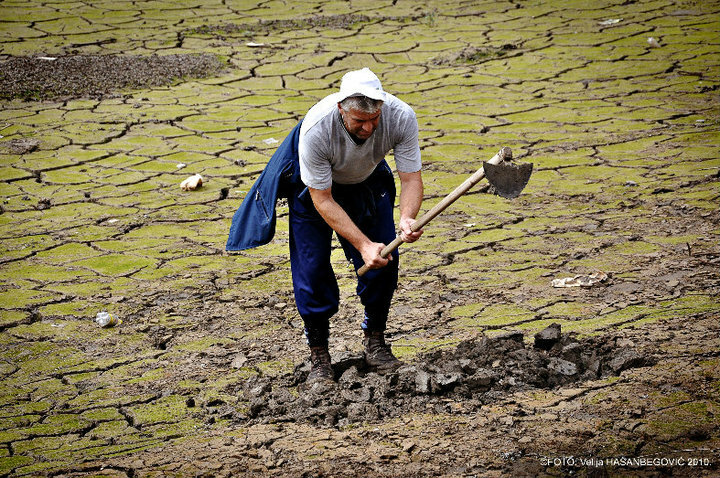 Serbia has ignored calls from Bosnia to delay filling the lake. 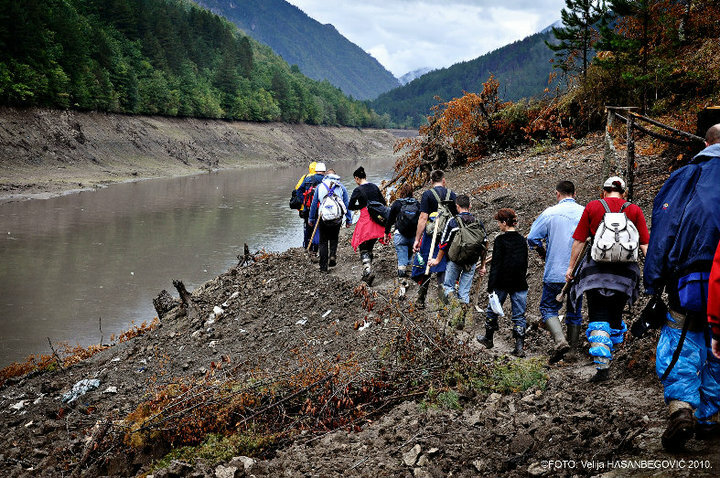 On 10.09.2010, the second day of Eid,more than a hundred volunteers from Sarajevo made their way to Perucac lake where hundreds of remains of Bosniak victims from Visegrad lay. 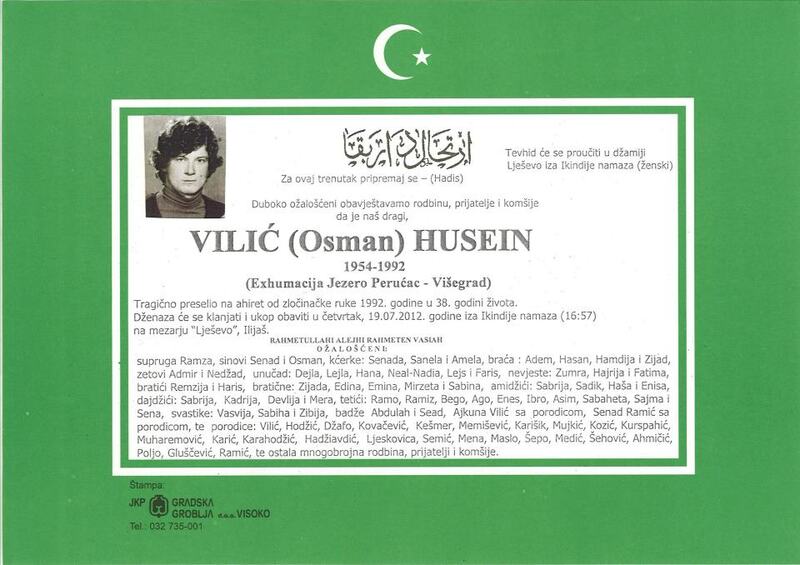 They were murdered by Bosnian Serb forces in 1992 and their bodies dumped into the River Drina. 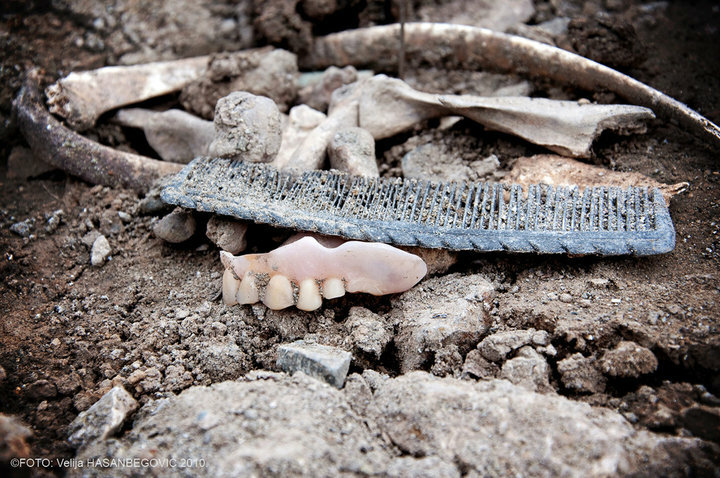 The following pictures were taken by Velija Hasanbegovic, a Visegrad genocide survivor and one of the organizers of the exhumations. Image: Volunteers make their way towards a exhumation site. 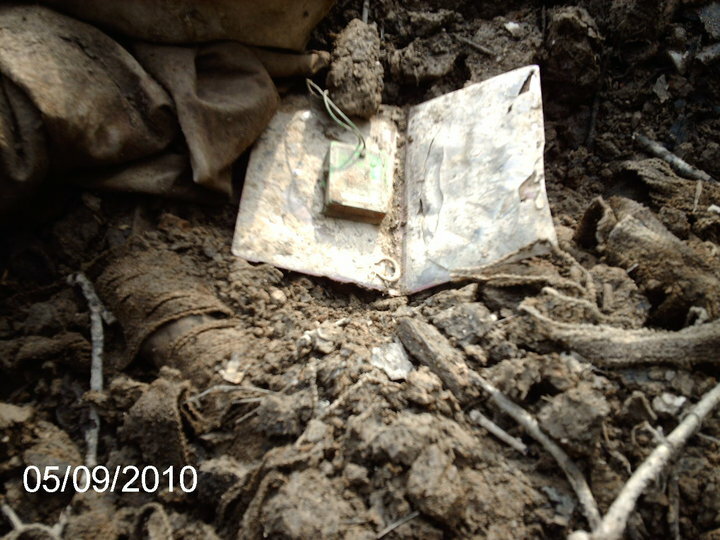 Image:Volunteers make their way towards a exhumation site. 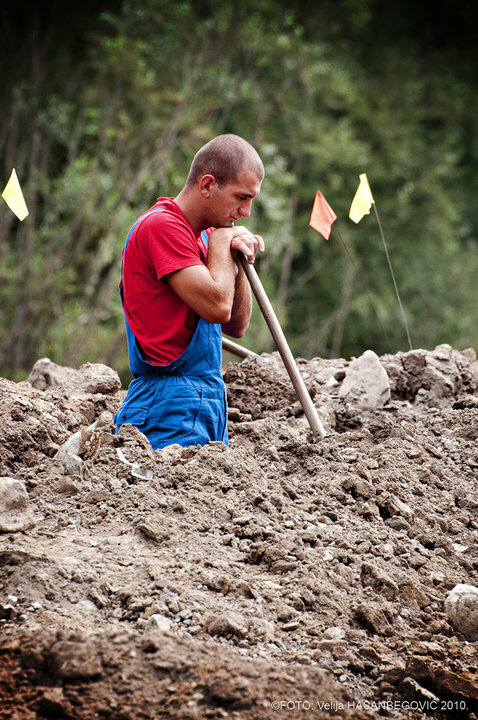 Image: A volunteer digging the soil in search of bones. 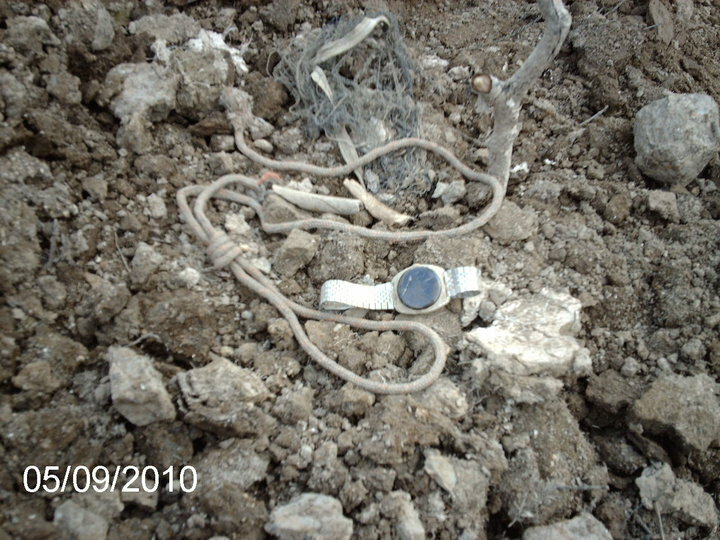 Image: Volunteers digging the soil in search of bones. 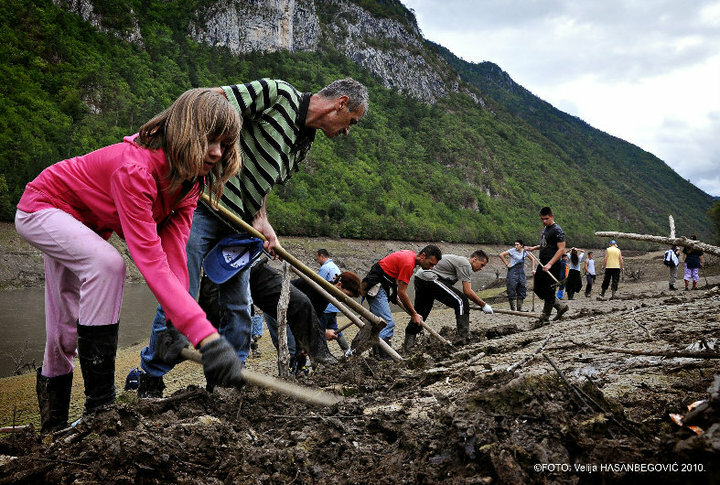 Image: Velija Hasanbegovic (first from left) with a group of volunteers helping with the exhumations. 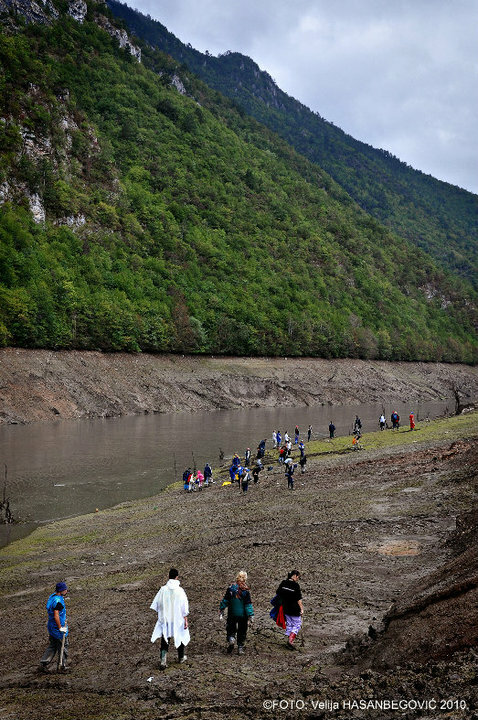 Perucac lake, a very popular tourist destination for Serbian and foreign tourists has been a large exhumation site in the last month. 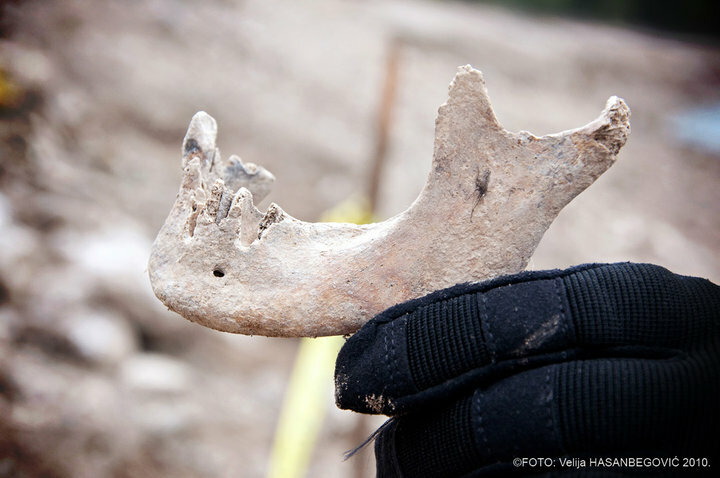 Over a hundred remains of Bosniak victims from Visegrad have been found. All of them were murdered by Bosnian Serb forces in 1992 and their bodies dumped into the Drina River.